New York, NY, March 12th, 2009 -- In observance of the 2009 Commemoration of the International Day of Remembrance of the Victims of Slavery and the Transatlantic Slave Trade on the 25th of March, Emmy-award winning musician and philanthropist Peter Buffett, and R&B/pop star Akon will publicly debut an issue-inspired song, “Blood Into Gold”, with a live performance at a star-studded cultural evening and concert in the United Nation’s General Assembly Hall. Peter Buffett was asked by non-profit organization, the Culture Project, to write the song specifically for this commemoration. 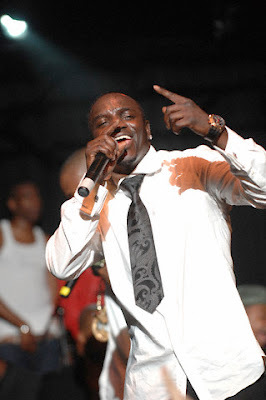 Akon, who has previously collaborated with Peter, loaned his voice and production expertise on “Blood Into Gold”. All proceeds from the download of the single will go to an organization whose purpose is to educate and bring an end to human trafficking worldwide. A poignant video to accompany the song is currently in production. For the first time at the United Nations, the evening concert, will bring together: Akon (Senegal/USA) & Peter Buffett (USA); Mezzo-Soprano Audrey Babcock (USA); Soprano Angela Brown (USA); The Blind Boys of Alabama (USA); Izaline Calister (Curacao/The Netherlands); Toumani Diabaté (Mali); Danny Glover (USA); Gilberto Gil (Brazil); Bill T. Jones (USA); Sarah Jones (USA); Salif Keita (Mali) and his Band; Ladysmith Black Mambazo (South Africa); Emeline Michel (Haiti); The Marley Brothers (Jamaica); CCH Pounder (Guyana/USA/Senegal); Stephanie Benson (Ghana); Phylicia Rashad (USA); Tenor Noah Stewart (USA); Randy Weston (USA) and his Quintet; Choreographer Gabri Christa (Curacao/The Netherlands) and others. UN Secretary General Ban Ki-moon and General Assembly President Miguel d’Escoto Brockmann will deliver testimonies at the concert and pre-taped testimonials from Nelson Mandela and Muhammad Ali will be broadcasted. The concert is being produced by the Culture Project. Legendary music producer, Nile Rodgers, will be the concert’s music director. Organized around the theme “Breaking the Silence, Beating the Drum”, the concert is part of a series of events celebrating the triumph of the spirit over slavery and human trafficking. This year’s theme was chosen because drums are traditionally used throughout the world, especially in Africa, to send a loud message. In this case, drums will serve to remind all of the causes, consequences and lessons of the transatlantic slave trade, and of the dangers of racism and prejudice. (www.un.org/en/slavery). A press conference is scheduled for March 25 at 1pm in Room 226 of the UN Secretariat with Kiyo Akasaka, UN Under Secretary-General for the Department of Public Information, Peter Buffett, Akon, Salif Keita, Gilberto Gil and Emeline Michel [for more information, contact Paulina Kubiak at kubiakp@un.org]. Peter Buffett and Akon¹s social action website, IsThereSomethingICanDo.com, will re-launch on March 25th to coincide with the release of “Blood Into Gold.” Powered by YourCause.com, the leading cause-focused social networking site, the site is an online destination where users can get involved, share personal experiences in making a difference, and meet others with common goals and a passion for change. Spotlighting a new social cause of worldwide concern monthly, April will bring much-needed attention to human trafficking as the featured subject with more to come. 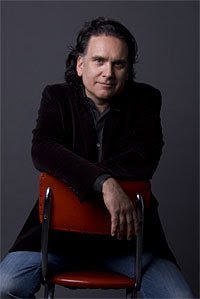 Emmy Award-winning musician Peter Buffett’s career spans more than 28 years. He is the creative mind behind many of the original MTV bumpers of the ‘80s, and the climactic crescendos in the memorable “Fire Dance” scene in 1990’s Oscar winning film Dances With Wolves. While Peter has remained behind the scenes as a composer of jingles, movie soundtracks, and atmospheric sound collections for the grand majority if his career, he began experimenting with vocals and a more eclectic pop/rock sound in recent years. His music combines elements of soft and progressive rock with a contemporary vocal sound, channeling the unique pop sensibilities of Beck and Teenage Fan Club, the weightless harmonies of Simon & Garfunkel, and hints of the mysterious and free-spirited Pink Floyd and Alan Parsons Project. Peter’s lyrics resonate his passion for social change and echo the message he shares as a noted philanthropist. The son of accomplished jazz musician Mor Thiam, Akon was introduced to varied musical styles early on, and his three full-length albums for Universal, ‘Trouble,’ ‘Konvicted,’ and ‘Freedom’ are a hybrid of rap and silky R&B vocals. His multifaceted sensibilities and popular club anthems have launched him to international success, with four 2008 GRAMMY nominations and over 8 million records sold.